Facebook First Quarter Earnings 2016 – Facebook’s Profit in the first quarter tripled from a year ago to $1.5 billion as revenue jumped to $5.4 billion from $3.5 billion in the same period a year earlier. “We had a great start to the year,” said Facebook co-founder and chief executive Mark Zuckerberg on Wednesday. The key metric of monthly active users rose to 1.65 billion, up 15% from a year ago. And those using Facebook daily rose 16% to 1.09 billion, with strong gains in numbers of people using mobile devices. The report shows Facebook is using its dominant position in social media to boost advertising revenues as it connects more people with new services such as live video. The tech firm also said that it has proposed a new class of nonvoting stock, known as Class C capital stock. Under the proposal, Facebook said it plans to issue two nonvoting shares as a one-time stock dividend for each Class A and Class B share held. The proposal still needs to be approved at the annual stockholders meeting scheduled on June 20. Facebook said that the new structure would allow Zuckerberg to “remain in an active leadership role” at the tech firm. In December, Zuckerberg announced that he and his wife Priscilla Chan planned to give away 99 percent of their Facebook shares, which is valued at more than $45 billion, to charitable causes. “I’ll be able to keep founder control of Facebook so we can continue to build for the long term, and Priscilla and I will be able to give our money to fund important work sooner,” he wrote in a note on Wednesday. The company’s stock closed slightly up 0.12 percent at $108.89 per share. Thanks for visiting Business Plan Nigeria. 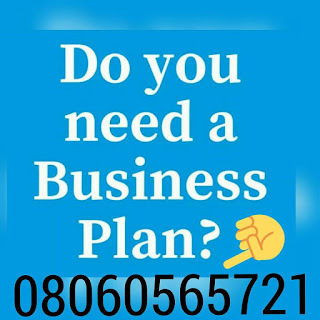 Powered by Business Plan Nigeria.